Liberal MP Ruby Dhalla is shedding light on the short-sightedness of Internet software like Google Adwords: apparently, the bits and pieces are showing poor judgment in choosing which sites to place Government of Canada ads on, including a site that demeans women by showing them naked. See the article here. Now, I am the last person who will defend posting GoC ads on such websites. 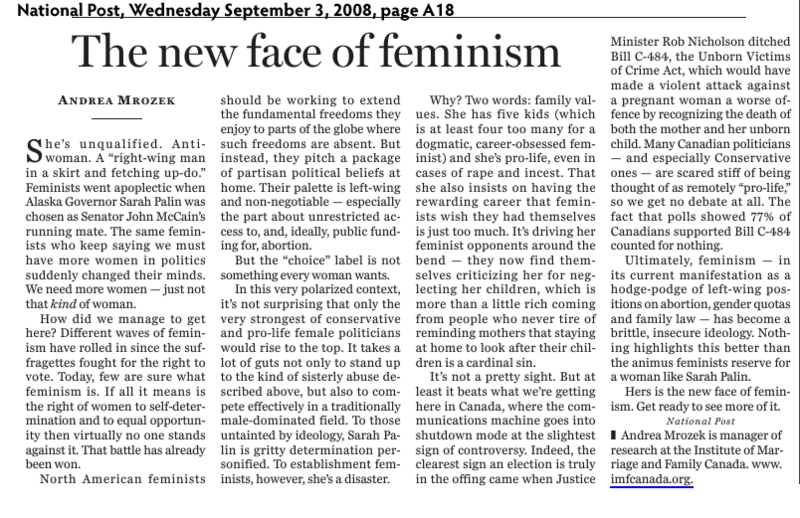 But the concern about demeaning women is a little over the top, especially coming from a Liberal MP. After all, these are the same people who think that maternal and child health in developing countries must include abortion, a mentally and physically damaging procedure. How is the commoditization of childbirth and childrearing working for us after all? Divorce rates are soaring, as are rates of paediatric mental illness and rates of weak-men-who-can’t commit and women-who-have-much-better-things-to-do-than-mothering. Apparently, demeaning women by making sure they don’t learn the nitty-gritty about abortion is fine… as long as you don’t show them naked. That would be demeaning. And if the Liberals are so concerned about “government waste” and the “taxpayers dollars” being spent on these advertisements, perhaps they should consider other places that our money goes. Yet somehow I don’t think the Grits will stop their support for the public funding of procedures that hurt women and kill children (aka abortion). I’m more interested in knowing what keywords typed into Google will get you to a site with photos of naked women AND an advertisement from the Deparment of Defense!